When it comes to your farm machinery, you only want the highest quality parts and services. At William Kerr (Tractors) Ltd , we are committed to providing our customers with unparalleled quality at competitive prices. 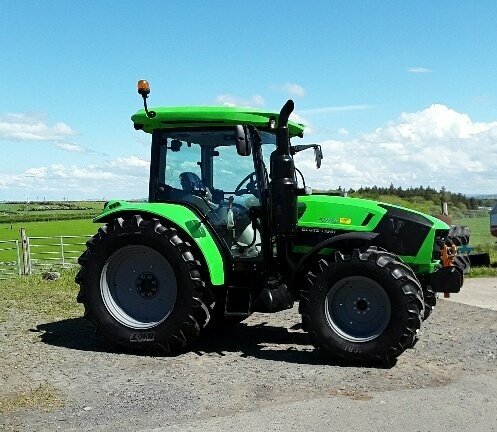 William Kerr (Tractors) Ltd has your farm machinery needs covered. Our experienced and knowledgeable staff strive to provide honest and reliable service. Let us handle your requirements so you can get back to your day. We'll be happy to answer all of your questions. Call us today, on Tel:- 01292267376. DEUTZ-FAHR 5 Series is a range of extremely versatile state-of-the-art machines offering astonishing versatility in terms of configuration. The 5100I5110I5120|5130 models employ innovative technology to cater for any application in all possible conditions. The perfect fusion of high performance mechanical and technical solutions, unparalleled comfort and ergonomics, and eye-catching style created in collaboration with Giugiaro Design, this tractor is a tour de force of power, functionality and elegance.